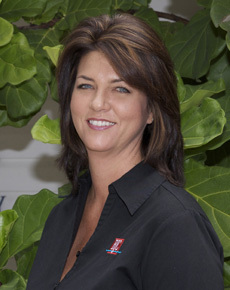 Nicole Caulfield joined RJC Yacht Sales & Charter in 2002 after having worked on board charter yachts for nearly ten years. Nicole's time as a crew member allowed her to hold positions of stewardess, mate and then chef. Her time on board charter yachts allowed travel throughout the Bahamas, Caribbean, Great Lakes, US East Coast, Pacific Northwest, and Eastern and Western Canada. Nicole is a committee member of the International Yacht Brokers Association, the American Yacht Charter Association and the Mediterranean Yacht Brokers Association. Nicole is actively involved and participates in each of these associations and in all aspects of the charter industry. Nicole attends several charter shows a year including, Antigua, Barcelona, Greece, Newport, Miami, Palm Beach and Ft. Lauderdale. She also attends charter open houses once a month in Ft. Lauderdale. This keeps Nicole current with the charter yachts on the market and their crew; allowing her to make personal recommendations to clients when choosing the best yacht for their charter. Nicole is married to a yacht captain and they have two sons who also love the water and all aspects of boating.